We have something for everyone and for every budget. 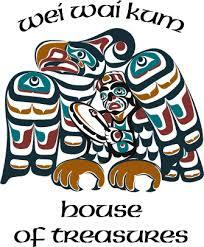 Whether you are looking for a unique treasure for yourself or buying for someone else, your senses will be dazzled when you walk into to our store – a magnificent contemporary interpretation of a First Nations Big House. With 18 years of experience offering beautiful things, we have selected our product lines to serve our customers’ needs and interests. We proudly feature original artwork with a focus on local First Nations artists, .